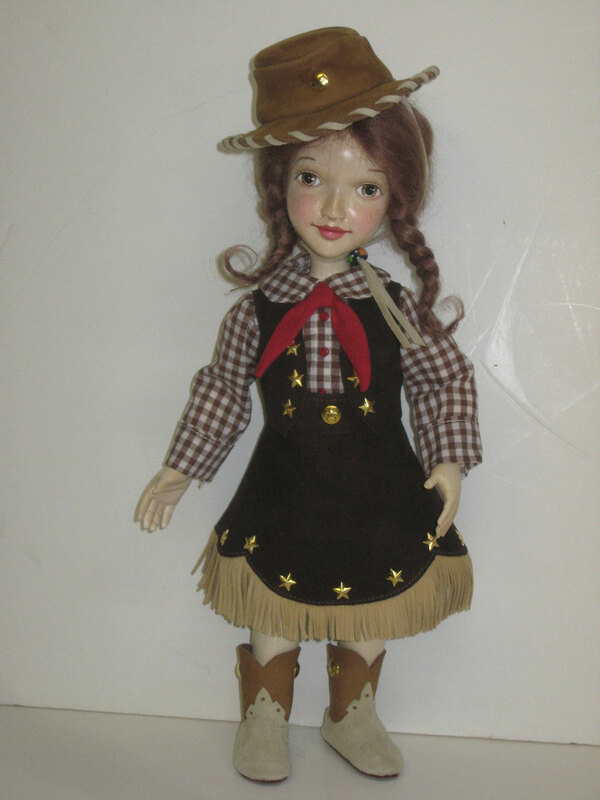 Cowgirl Outfits for our 12" dolls. The vest & skirt are made in house from genuine soft leather. The skirt has a contrasting fringe & both the skirt & vest are studded with gold stars. There may be some colour variation with the leather, we can also do special colours by request. The checkered blouse is made from 100% cotton with a back opening. 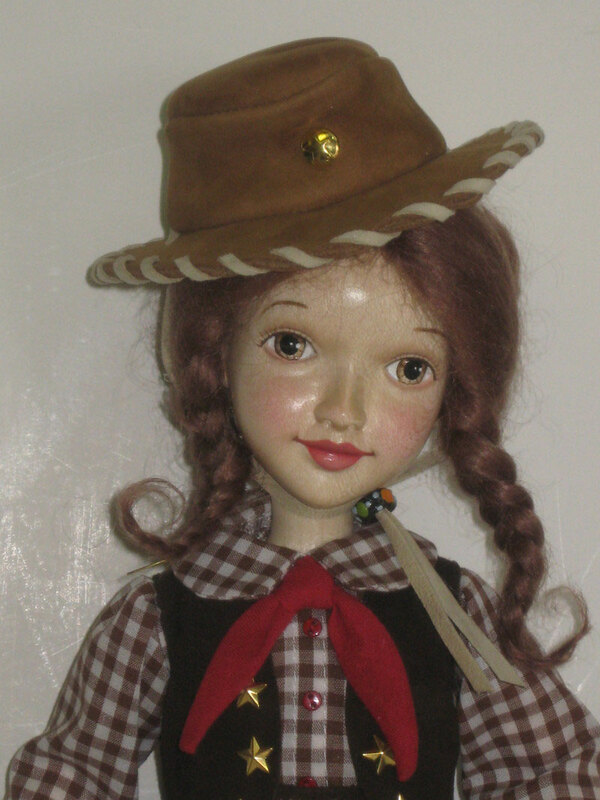 The front has 3 tiny buttons and a matching tie sewn at the neck of the blouse to give it an authentic finish. 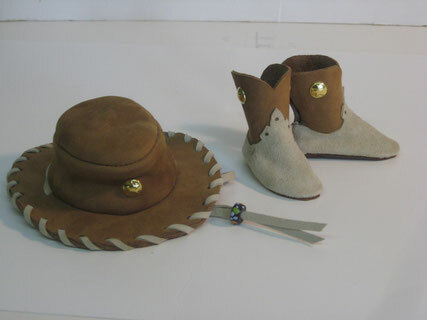 These are made in house from Genuine leather. 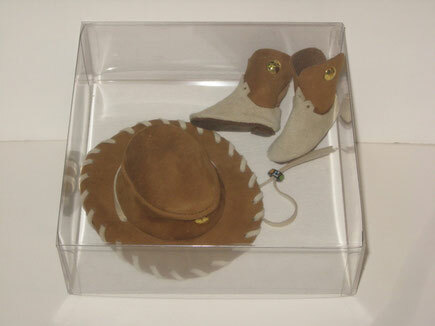 The hat has a leather strap with a bead closure. 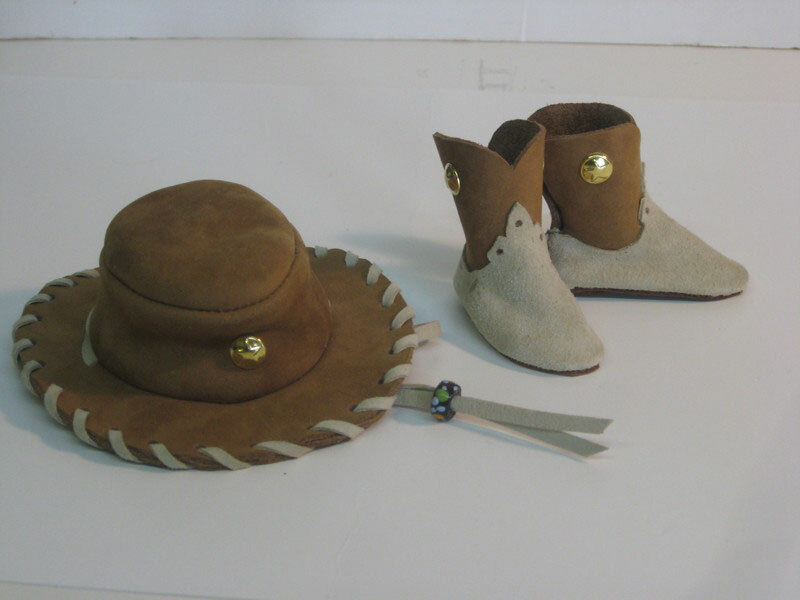 The boots have an opening along the back with a tiny bead closure to make putting them on easier. Comes packaged in a clear plastic box. Price $100.00 USD.